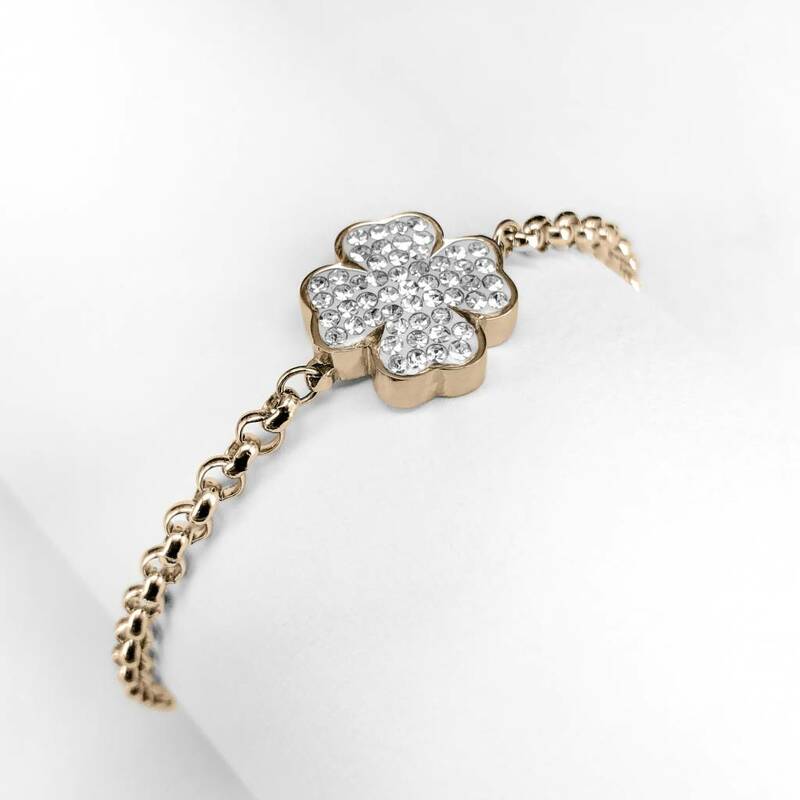 This four-leaf clover bracelet with beautiful round links is a special addition to your jewelry collection! The 53 small cz stones give this bracelet a very exclusive look! This four-leaf clover with cz stone is available in the colors silver, gold and rose gold. This bracelet is available from Saturday 24 November. The length of the bracelet is 20 cm. Give the bracelet a playful effect by adding a mini pendant. For example, a mini hanger with horseshoe.